No we are not talking about Zeus, Aphrodite, Apollo and the like, we are talking about the myths associated with cycling in Greece. 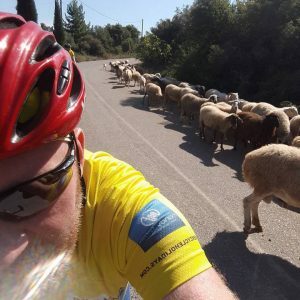 “Why would I want to cycle in Greece, its far too hot” “are there mountains in Greece?” These are just a couple of questions we’ve come across when trying to convince people that Greece really is an awesome destination to cycle. We decided to take a look at these myths surrounding Greek cycling ! Apollo The Greek God of the Sun a.k.a Its too Hot! As most tourists visit Greece in the summer months, when of course it can get very hot, most people believe it’s like that all year round, when in fact this is very far from the truth. Only July and August are considered “red months” with June and September slightly cooler. Temperatures in the winter can get as low as 3-4 degrees and snow in the mountains is common during the first months of the year. However generally mild winters, warm spring and autumn months gives a window to cycle without too much heat of almost 8 months of the year. That’s not to say that cycling in the summer is a no go. read our guide on how to stay cool in the summer heat. It seems strange that the greatest sporting event (after the Tour de France some would argue) takes its name from Mount Olympus, Greece’s highest mountain, yet many people are unaware of the lumpy nature of the Greek Country side. Alot of people who visit Greece unfortunately don’t venture any further than their hotel pool or beach. 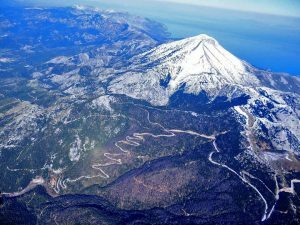 For those that are adventurous enough to explore further, they see that with over 40 separate mountain ranges exceeding an elevation of 2000m Greece is most certainly a mountainous country. “And what about the climbs?” I hear you ask? 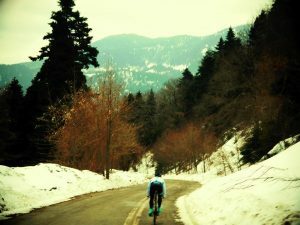 Well, while there may not be any iconic climbs made famous by the grand tours, we do have many climbs of various levels to rival any others in Europe. “Harder than ventoux” and “Evia’s Alpe d’huez” are just a couple of comments from our guests after taking on some of our climbs. Ok this one is true, roads are packed full of crazy drivers, IN ATHENS! Leave Athens and the rural roads are so quiet your main worry are the sheep on the road! In the countryside that age old battle of cyclists v motorists is virtually nonexistent with the locals only too pleased to give a little toot hello and give you plenty of room as they pass by. We really do believe we have a hidden gem for cycling for anyone who doesn’t doesnt believe in myths and legends. Dont follow the crowds. 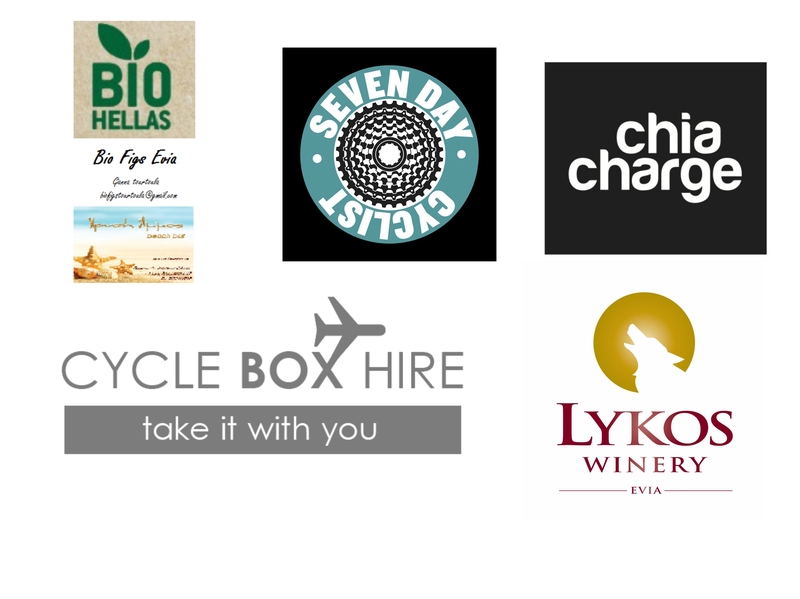 Book a Greek cycling holiday, you will not regret it !! !